On vocals and guitar, the exciting Harry Sea ! Harry plays guitar brilliantly, sings with soul and performs with enthusiasm. He has performed with a wide variety of bands at many popular venues in Australia and Japan, always giving it 100 % and more while creating an atmosphere of fun & excitement wherever he plays. On vocals & percussion, the wonderful Grace ! Grace has only recently joined the world of music. She’s a little bit shy but once behind the microphone, she lights up. 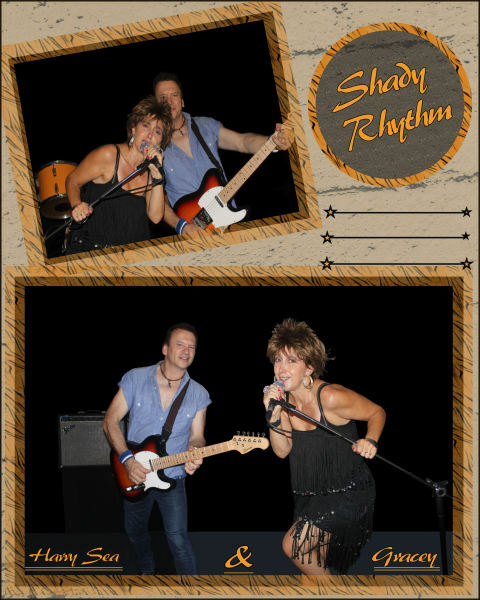 Being the lead vocalist with Shady Rhythm has changed her life. Singing has now become a priority. Every note & every gesture aims for artistic perfection, she never misses her target. On vocals & percussion, the very beautiful Sarah ! Sarah has sung at many weddings, corporate functions & other gigs. Sarah has also been involved in some recording projects. Apart from her natural ability to harmonize she is a great dancer. Her professional appearance & attitude on stage is enjoyed by all. On drums & backing vocals, Nick Allgood ! Nick compliments this line up with his strong rhythmic drum playing. Every song & every beat is accurately reflected with the Allgood feel. This is how he got his nickname. Harry, Grace, Sarah & Nick are a fun filled professional team. 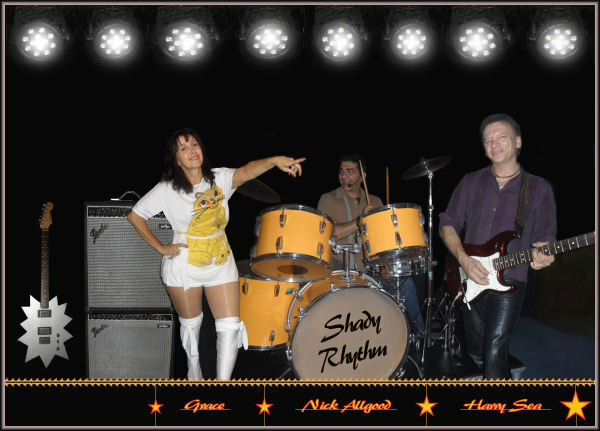 Shady Rhythm also works and performs as a trio or a duo. A great team of entertainment.